Live in luxury, enjoy panoramic hill views, outdoor activities, games room, barbecue, beaches, mini-cinema with wine and popcorn. Meet llamas or have a spin in a motorcycle sidecar. Table seats 16. 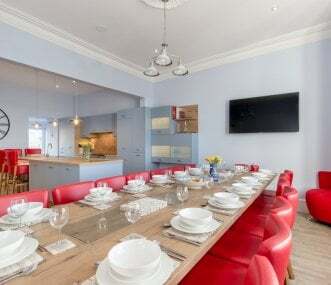 The Knowe, Portpatrick Harbour offers the ideal opportunity for large groups of friends or extended families to enjoy the many activities the village and surrounding area has to offer. 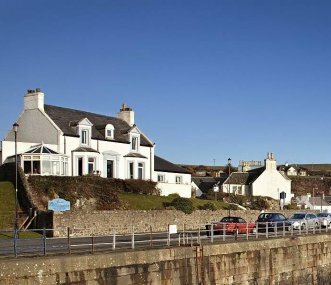 Carlton House is a large self catering house on the harbourside of the beautiful coastal village of Portpatrick. The house offers stunning views over the village and Irish Sea. 8 bedrooms, 7 en suite. 6 luxury cottages. Sleeps 2 - 24. Dining for 16. Heated pool. Games room stunning rural location. Lochs, forests and glens. Near the attractive village of Thornhill with shops, pubs and restaurant. A stunning Palladian mansion, just off the M74 and yet very peaceful. 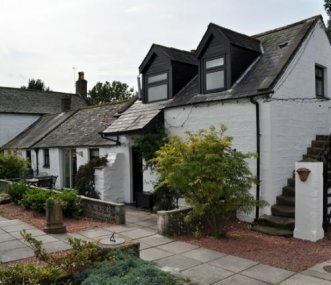 In the Scottish countryside, but only 4 hours door to door from London. You can relax here like it is your home. Fully catered. 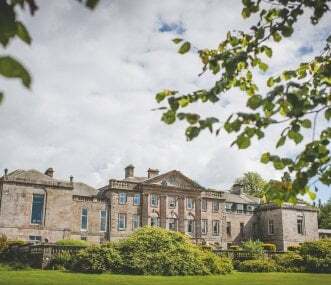 The Centre is a large Victorian residence in its own grounds, in the lovely town of Moffat, ideal for a family get-together or youth organisation weekend away. Sleeps up to 70.